Do you suffer from vision impairment? Are you tired of hassling with prescription glasses or contact lenses? If so, there may be a better solution for you. 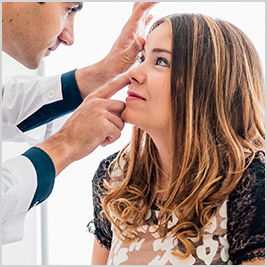 Laser vision correction, performed at our Austin practice, can provide long-lasting correction to reduce or completely eliminate the need for glasses and contacts. Contact us today to learn more. LASIK has helped millions of Americans achieve crystal clear vision without the need for cumbersome glasses or contact lenses. A convenient and virtually painless procedure, LASIK can quickly transform your vision and your life. This procedure reshapes your cornea to refract light more precisely, allowing you to see images with greater crispness. Recovery is short, and most people are back to their normal routines within just a couple of days. Custom Wavefront LASIK uses a unique measurement system to determine how your eye processes images, as well as its ability to focus light rays. A 3-D map of the eye detects irregularities and guides the laser to correct them. 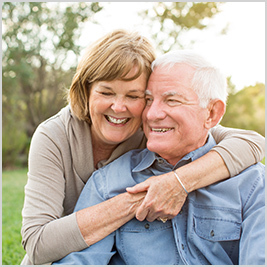 Wavefront LASIK offers the most precise and individualized laser vision correction. In addition to correcting nearsightedness, farsightedness, and astigmatism, wavefront LASIK can also correct halos, glare, and compromised night vision. Photorefractive keratectomy, or PRK, is a laser vision correction surgery that serves as an alternate for patients whose corneas are too thin for LASIK. As with LASIK, PRK is for patients who suffer from nearsightedness, farsightedness, or astigmatism. 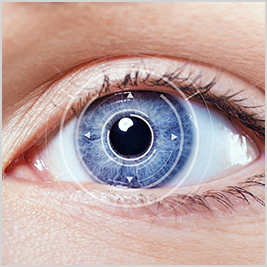 The surgery also relies on the use of a laser to make necessary alterations to the shape of the cornea. However, PRK makes alterations to the surface of the cornea, as opposed to LASIK. Blade-free IntraLase is more commonly known as iLASIK. 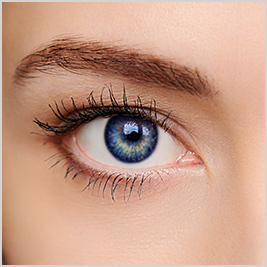 This procedure is very similar to a traditional LASIK procedure, but it is performed without the use of a blade. Instead, a laser is used to access the tissues in the center of the cornea. Digital images of your cornea will allow William McGlathery, M.D., to determine the alterations needed to correct your vision. The blade-free IntraLase method is more accurate than traditional LASIK, and has been proven to be a safe and effective alternative.